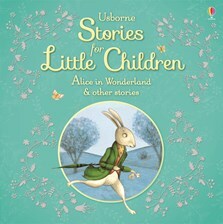 A collection of classic stories specially retold for young readers and presented as a beautifully illustrated hardback. Stories include Alice in Wonderland, Snow Queen and The Town Mouse and the Country Mouse, among other lesser known treasures. Each story is fully illustrated and perfect for either reading aloud or for more confident readers to tackle alone.